A summer holiday in Velden am Wörthersee promises a glorious time both next to and in the water, with the biggest lake in Carinthia inviting you to enjoy a wide range of activities. Do whatever you are in the mood for: splashing about in the water and stretching out in the sunshine at the numerous swimming beaches, or paddling out in a rowing boat and allowing the currents to carry you wherever they may. Ride on a sail boat or cast off on a surfboard. 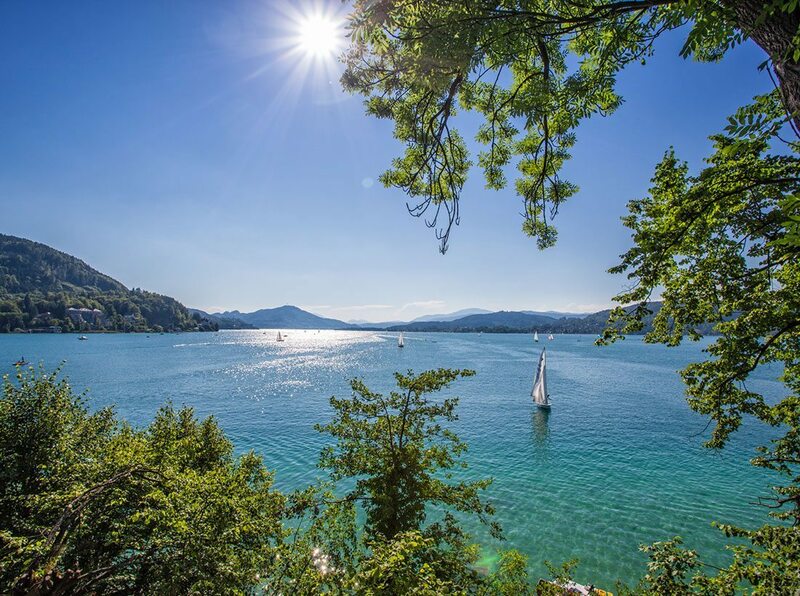 We should also mention the ideal thermals on Wörthersee, which make it easy for beginners as well as skilled surfers to catch plenty of wind. Daredevils, too, can look forward to a colorful selection of fun-sports, such as waterskiing, parasailing and even banana-boat rides.